I can say that as a participant of the closed alpha, the alpha ran smoother than the VIP demo. While many players (myself included) ran into issues such as infinite loading times or the game crashing, by the end of the weekend, things seemed to have smoothed out quite a bit. According to the devs at Bioware, the open demo (which should be called a beta), should be fixed and ready to play. Moving on from the rocky start of the demo, let’s talk a little bit about the game and the potential it may have to be successful. When it comes to Anthem, I can see this title overshadowing Destiny. There is no paid DLC post launch. This is an important move for games these days. EA has been trying to find a way earn back the trust of gamers and not having to pay out extra money for a season pass is a pretty big deal. This game is easily compared to Destiny. It is so similar, it seems clear that Bioware asked the question, how do we take Destiny and make it our own? Well, that is a hypothetical question of course and I wasn’t there to witness said question, but I wouldn’t be surprised if that was one of the topics that came up. In comparison to Destiny, I think I might find Anthem to be more appealing for me. I like the movement system. It feels smoother and offers more in regards to evading. The ability to fly around with your thrusters/jetpack, what have you, adds a whole lot more to the game in my opinion. While we really only had a taste of what awaits us the in the game, I had a great time fighting enemies and a few bosses with friends. It is to my understanding that if you start off solo, enemies will be slightly easier to kill and become more difficult as players are added to the current run. While it is playable and fun solo, the real experience comes with squads. If you have some play with, it’s a richer experience. I had several moments where I was fighting off baddies and had to go to the aid of a teammate and revive them. After the revive, I would blast off with my thrusters/jetpack and recharge my shield or head to the objective point. It was really dependent on the situation at hand. Either way, it was exhilarating and left me feeling like a hero, so to speak. That’s a feeling that I could use a little more of in today's games. This of course is making the internet erupt with speculation that next gen upgrades will be here sooner than later, but I still believe next gen will happen in 2020. Although, the major games lineup for current gen in 2019, do seem to planned for the Spring, so I wouldn’t be too surprised if the PS5 was actually announced and readying release for 2019. I don’t think 2019 is the best year to release a new console from Sony, but it's all just rumor and speculation until we have an official announcement. 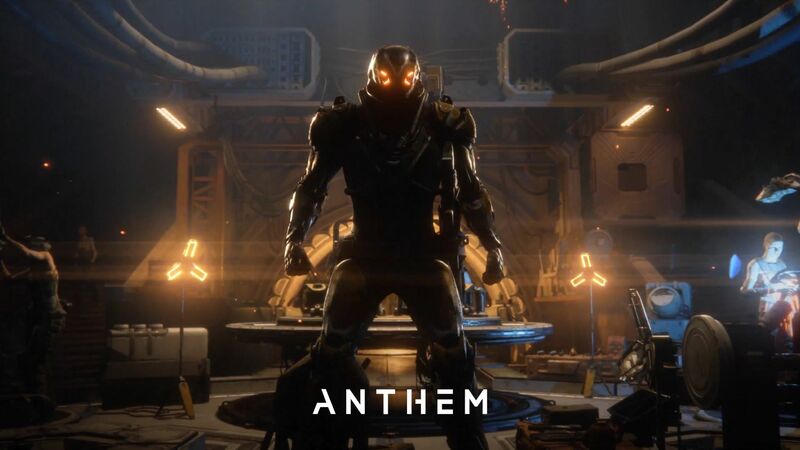 Did you play the Anthem demo? What are your thoughts on the upcoming title? Will be a huge success or mediocre? Share your opinion and thoughts with me. I’d love to hear from you.